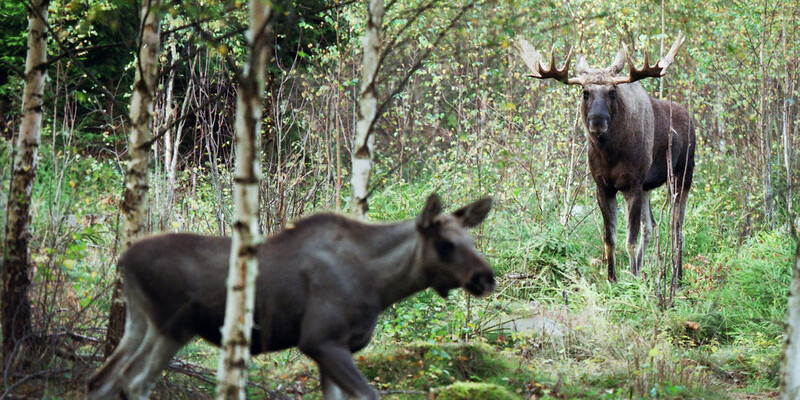 Welcome to Sweden’s Elk Parks! The elk parks have a variety of setups when it comes to contact between animals and people. In addition, the elks have distinctive personalities with individualistic names and attitudes…There are elks that are completely tame and can be affectionate or unruly, but also elks that are more reserved. 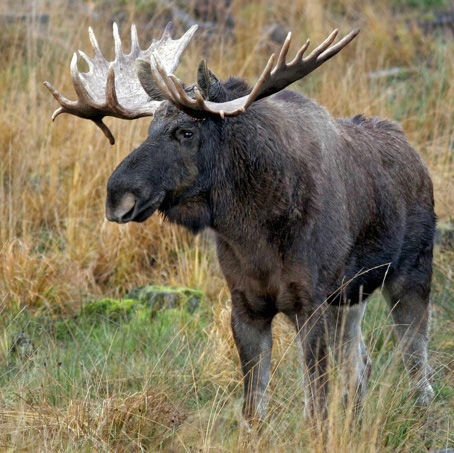 What all the parks have in common is that their elks are not afraid of people, unlike the approximately 400,000 elks living in the wild, which are shy and difficult to see. 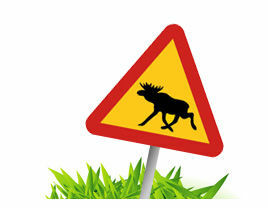 With the help of the map’s click functions, you can easily plan visits to Sweden’s Elk Parks. The elk is Scandinavia’s largest horned animal, and in the wild it is a solitary animal that does not move around together in large herds. The only ”elk family” that remains together for about 12 months is the cow with her yearling calves that follow their mother until the next calving, which usually occurs at the end of May and beginning of June. Most elk parks have close to about ten elks available for viewing. Elks are so-called ruminants (with four stomachs), which means that the animals lie quietly and attend to digestion between feedings. 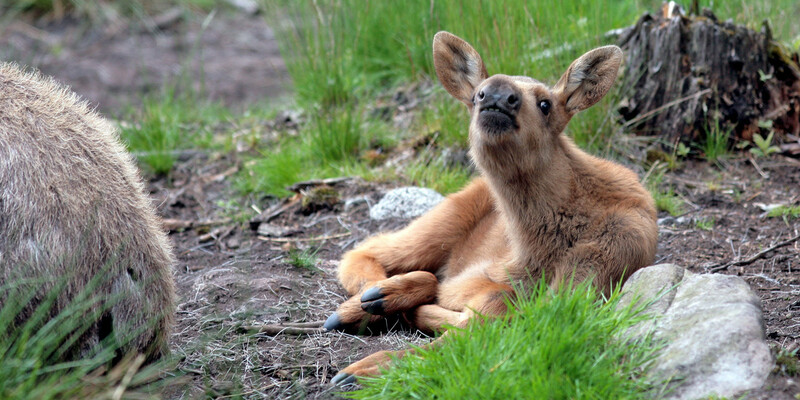 Sweden’s Elk Parks is a nonprofit association with nearly 30 of the country’s elk parks as members. During the fall mating season all animals are aggressive, and several of the elk parks are closed then. 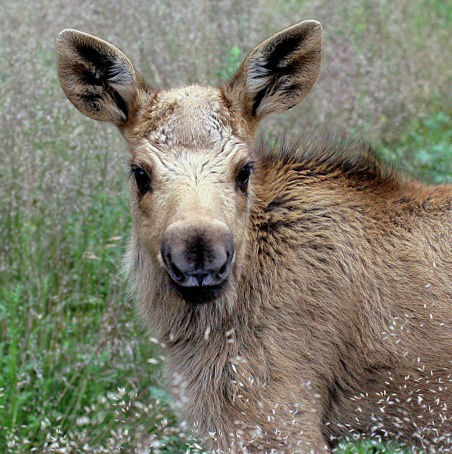 More information can be found on the respective elk park’s home page. No two elks or elk parks are alike. 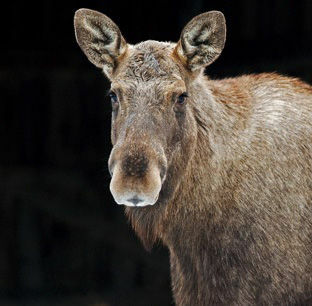 You are welcome to visit several elk parks and prepare a ”Elk safari-Sweden” of your own! 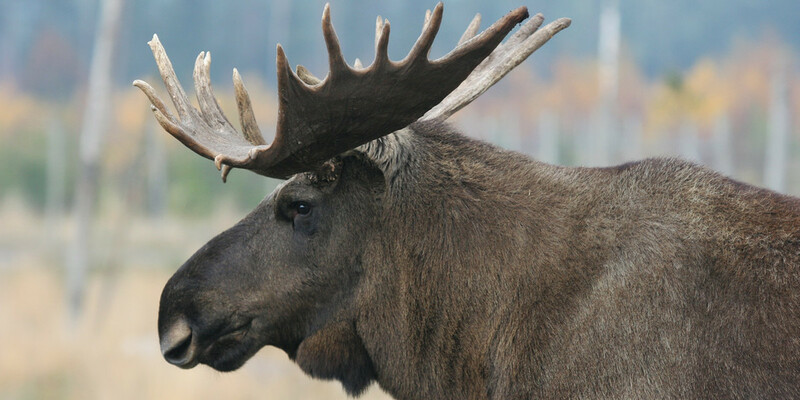 Use our map function to find your nearest moose park, where you can meet one's living moose eye to eye.